Have you ever found yourself on a Sunday morning with a toothache and needing relief ASAP? Or you were chewing gum on Thursday evening and your filling came out? Dental365 is open 7 days a week to provide our patients relief in times such as this. We happily and readily accept walk-in dental emergencies so our patients never have to wait for hours or even days to feel better. Any dental emergency, such as an injury to the teeth or gums, can be potentially serious and should not be ignored. 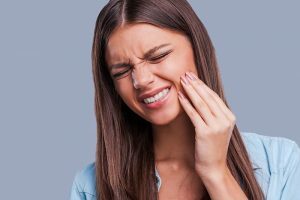 Ignoring a dental problem can increase the risk of permanent damage as well as the need for more expansive treatment later on. What Kind of Emergency Dental Services Do You Provide? We often say the mouth is the gateway to total wellness. Treat your mouth with respect and care, including eating a healthy diet and brushing and flossing daily. Visiting your dentist at Dental365 regularly for cleanings and oral health exams may prevent dental emergencies and avoid painful dental problems. Your dentist may be able to prevent a possible emergency by catching dental problems before they begin, which can save you a lot of discomfort and a potential emergency visit later. We understand that dental emergencies happen and Dental365 is here to help. Please visit our locations page or give us a call at 844-365-DENTAL to find the nearest Dental365 location to you. We will treat you and stop the dental pain you are in fast.